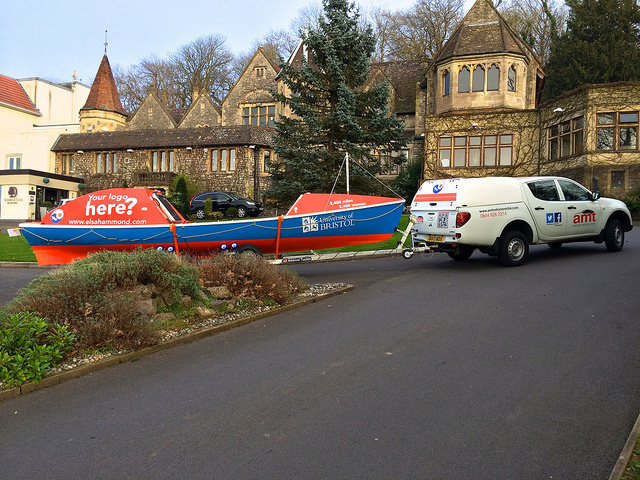 This week we also said goodbye to our trusty towing vehicle, kindly supplied by AMT Vehicle Rental. It has been our companion for the last couple of months, towing the boat to schools and events, on training trips, and finally down to Southampton for the final time. AMT have been so supportive – even branding up the vehicle with my logo and website! They specialise in Prestige and Executive Vehicle rental (we were a rather different sort of customer from usual), so check them out if you’re thinking of treating yourself. Have a look at the gallery for more pictures of AMT Hammond in action. Previous PostLittle Boat in Big BoatNext PostSay hello to Natracare, our new Silver Sponsor!